It's that time of year...the crazy, trying hard to keep up with things, and doing way too much...time of year. Mailing cards, shopping, gift wrapping, party going, cooking, baking, on and on and on...and then I like to add in reading, movie watching, and relaxing (ya, right.) But of course, I still have to do my regular day-to-day stuff, too, like writing, blogging, editing, marketing, etc....my, oh, my and I wonder where all my time goes. It's no wonder I always feel so overwhelmed. I'm sure you all are relating- right? Regardless, I try really hard to enjoy every moment, and I have my favorites that make this time of year special. Cookie baking doesn't come easily for me. Being gluten free isn't my only obstacle. Sadly, I hate to bake. I don't like to cook either, but being gluten free has forced me to do both. And if I want Christmas cookies, then I must roll up my sleeves and bake. Amazingly, I was able to create some good tasting (and looking) cookies. They tasted and looked good enough that I shared with my gluten-free neighbor. 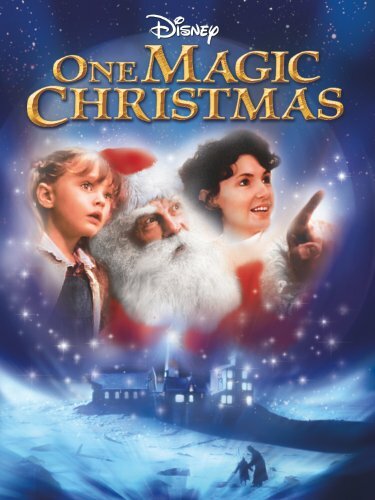 Every year, I have a bunch of Holiday movies I just have to watch. It doesn't feel like Christmas without them. Most of the time, I have the movie on in the background while I'm wrapping, baking, or finishing up the cards. However, some nights I stay up late on the couch to watch these movies. What are your favorite cookies, movie, and music? It is too hard to comprehend and words will never express the pain that the entire nation is feeling. I am sad. I am scared. I am angry. The hardest thing to do right now is to trust. It is near impossible to let those I love out of my sight and believe they will be okay. How do I tell them to trust that they'll be safe when I don't even know if I believe it myself? I had to go to an establishment at the mall this weekend for a holiday event. I arrived and found the parking lot to be full. After driving up and down the aisles for a while, I saw someone backing out. I stopped and waited, putting on my turn signal as a sign of wanting the soon open parking space. As I waited, a car turned up the aisle and whipped into the spot. I was completely stunned. Calmly, I pulled up behind the car and stuck my head out the window. "That was mean," I said in a kind voice. (Really!) I have to note that I was not angry. Upset and stunned that someone would do that, yes, but not angry. All I wanted to do was call them out on their rudeness. The passenger, a women, started to yell at me and tell me what a horrible person I was. (I mean wow...she didn't even know me and had to explain to me what a bad individual I was and how much of a bad influence I was.) It was crazy. Then the driver got out. She was also a women. She turned red in the face and screamed at me. "This was my spot. I've been driving around, and I got here first. You can walk." Well, of course I can walk, (if I had found a spot,) but that wasn't the point. I smiled at her and her passenger who was still screaming at me and telling me how horrible I was. I couldn't believe how irate they were. It was actually pretty funny. I really could care less about the spot in the end, I was just upset someone would be so rude and called them out on it. (and I remind you, I never yelled...) They knew they were in the wrong because they sprung from their car ready to "fight", screaming and yelling. A simple "I'm sorry" would have been nice. Or an "Oh, I had no idea." Before they finished their rounds of yelling, I said, "Well, I hope that made you feel better. Have a wonderful day." She wasn't happy with my response and screamed, "Merry Christmas to you, too," in a really nasty and sarcastic tone. I was not looking for a fight, so I drove away, stunned and shocked that people acted like that. In the end, it actually brought tears to my eyes that someone could be that rude especially after all that has happened. You'd think last weeks events would be a reminder of how precious life is. A reminder that we are all human, we all have loved ones, we all have feelings, we are all no more or no less important than the other. You would think people would try to be a little kinder to others. And yet I want to hold hope. I want to believe most people care. The following day on my adventure to the grocery store, I made a point to smile nicely to everyone. I do not live in a small town, so store visits are not greeted with those I know. And when it is busy, most people rudely push their way through the store. But I was amazed at how a simple gesture changed most of the shopper's frown to a smile and some even started saying "hello." I hope that as we continue to heal as a nation from this horrible act of evil, we can trust in each other, turn to each other, and be there for each other. It is important to treat others with kindness, to help others. I think it is important to call others out and not just stand by when they are being mean or bullying. I think it is important to reach out for help when we can't handle things by ourselves anymore. I think it is important to educate, talk about, and not alienate mental illness. Please join me in standing together. My heart goes out to everyone in Newtown, Connecticut. They will forever be in my thoughts. 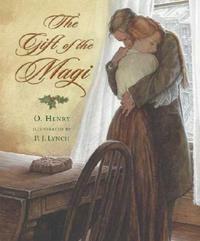 The Gift of the Magi-by O' Henry- I love this short story about the deep love of a couple and their desire to give up their most treasured gifts for each other. I am always drawn to this story and is a must read every year. 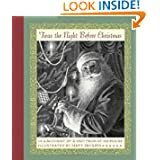 A Christmas Carol by Charles Dickens- I have to read this story every year. I love the tale and it's message. 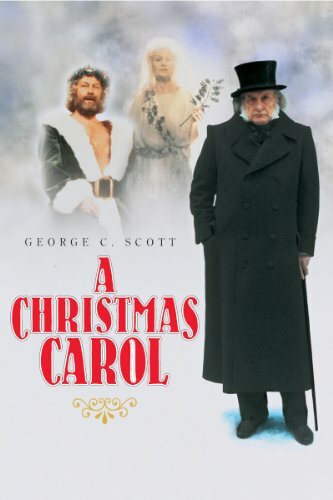 It has always been a tradition in my family to watch the movie version with George C Scott every year on Christmas Eve. A Visit From St. Nicholas by Clement Clarke Moore - A favorite of all. A must read short story before bed on Christmas Eve. 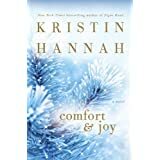 Comfort and Joy by Kristin Hannah - I read this story a couple of years ago for the first time and loved it. A great story for the season with surprising twists and turns. 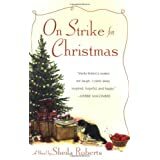 On Strike for Christmas by Sheila Roberts -Any girls dream...to go on strike at Christmas time. And of course nothing would get done. "The right way," that is. The movie came out last year, and I have yet to see it. Maybe I'll pick it up and watch this season. What stories are a must-read for you this time of year? 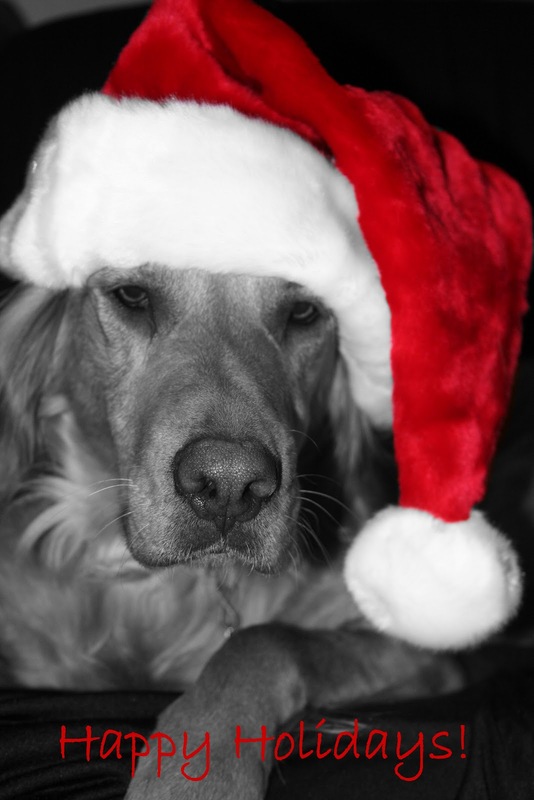 What are your favorite Holiday tales? 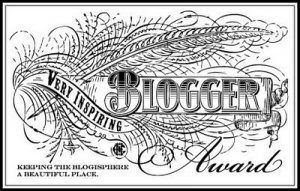 The amazing and talented Amanda Fanger nominated me for the Very Inspiring Blogger Award. I am very honored and humbled by this award. Thank you, Amanda for all the support and kind words. If you are not already following Amanda, make sure you head over to her inspiring blog. I am so glad I've gotten to know her on this blogging and writing journey. I can't tell you how much this award means to me. Too often I feel like I'm going nowhere...not sure if anyone reads what I write, not sure who would really care about what I have to say, so receiving this shout out means the world to me. 1. I love pinwheels, bright colors, and daisies. 2. I love line dancing and go to class a few times a week for exercise. 3. I get caught up in Hallmark and Lifetime movies, especially all of the holiday movies this time of year. I also love shows like Criminal Minds. 4. I am gluten free...but sadly, I hate to cook- so someday I am going to write about how I cook gluten free the quick and easy way. 5. I am not shy, and love long talks with friends. 6. I believe in talking about the tough issues--even when no one else will--because it's important raise awareness, advocate for others, and let individuals know they are not alone. 7. I am inspired by those around me...my husband, my parents, my boys, my friends. I am inspired by the ladies from line dancing. I am inspired by music and songwriters. 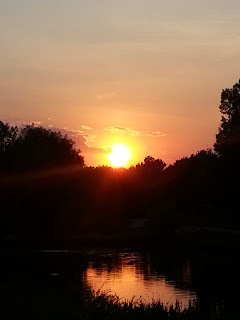 I am inspired by other writers and bloggers. And I am inspired by others who speak out, stand up and spread awareness on tough issues. Thank you all for being there for me, inspiring me, and encouraging me to keep moving forward. Kendra Merritt. Kendra is one of my writing buddies. She is an extremely gifted writer and her blog is very inspirational. Make sure you check her out. It is worth sitting down and spending time reading her back posts. Susan Oloier. Susan is my writing partner over at Moxie Writers. Susan is one of the most talented and inspirational people I know. I am so blessed to have met her. And very honored that she wanted to team up with me to write. She is currently on a break from blogging, but her blog was amazing and I will miss reading it everyday. If you get a chance, check out her website and her books. I love them all. Michael Di Gesu. I have just recently met Michael and started following his blog. He is very inspirational, encouraging, and supporting. Who are some great bloggers and writers that inspire you? Please share a link in the comments section. I'd love to hear from you! I can't believe it's already time to wrap up the Speak Out Against book tour. It has been an amazing adventure, touring around the blogosphere and speaking out against bullying and dating abuse. I couldn't have done it without Susan Oloier. She is absolutely amazing, extremely creative, talented, and energetic. It has been such an honor to tour with her. And I am so excited to continue writing with Susan over at Moxie Writers. Head on over and follow us, so you don't miss out on all the fun! And we couldn't have done the tour without the wonderful bloggers and friends who hosted us along the way. I'm honored to know and to have met such wonderful people. I am so grateful that everyone was so willing to stand up and speak out against bullying and dating violence. It can be hard to start a conversation about such tough topics, but it is so important to bring awareness to these issues. I also want to thank everyone who followed us on the tour, left comments, and joined in on the conversation. Today, Susan and I are over at J.L. Campbell's blog for our final visit of the Speak Out Against book tour. Head on over and say "Hi!" and join her in speaking out against bullying and dating abuse. Thank you, J.L. Campbell for hosting the tour! J.L. Campbell is an award-winning writer who lives is sunny Jamaica. She's always on the lookout for story-making material and can be found lollygagging on this blog most days. The Speak Out Against...book tour continues at Corinne OFlynn's site. We are talking about the now and then of dating abuse and bullying. Join us and speak out against bullying and dating abuse. 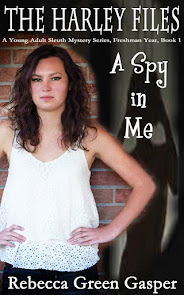 Corinne OFlynn writes novels and short fiction. She also write essays. As a reader, she have always been able to get lost in books. They whisk her away to this other place where everything is exciting and nothing else matters. As a writer, she hopes to be able to take you on a journey where you feel completely transported by my stories for a while. The Speak Out Against tour continues over at Michael Di Gesu's site. Michael is hosting an interview with the characters from Outcast and Break From You. Join Noelle (from Outcast) and Brooke (from Break From You) as they interview each other, asking and answering questions on dating abuse and bullying. And Michael is having a giveaway! Stand up and speak out against bullying and teen dating abuse. Thank you, Michael for hosting the tour! 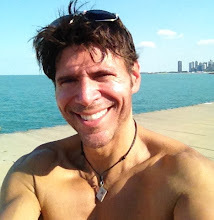 Michael Di Gesu- After fifteen years of modeling in New York, I spent the past eight years as an interior designer in Chicago. I decided to take my creative talents and write/illustrate my first m/g novel, Amber and the Whispering Willows. A year later, I wrote The Blinded Gardener, an edgy y/a contemporary. I've been editing for the past six months and I am in the process of querying. I never knew how wonderful it could be to write novels ... I'm addicted. PS- don't forget about Moxie Writers' giveaway...only a few more days left to sign up and win copies of Outcast, Break From You, and Speak Out Against bookmarks. Kids with disabilities or special health needs are at higher risk of being bullied. Join Susan Oloier over at her son's blog My Life With Zane. She is talking about bullying and disabilities. Stand up and Speak Out Against...bullying youth with disabilities and special needs. Thank you, Zane for hosting the tour today! And thank you, Susan! 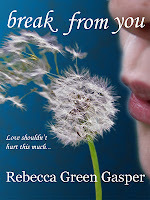 The Speak Out Against...Book Tour continues over at Tammy Brewer's blog Oh, The Books You'll Read. She is joining Susan and me in raising awareness on teen dating abuse and bullying. And she's having a giveaway. Enter to win a copy of Outcast by Susan Oloier and my book, Break From You. Tammy also gave an amazing review on Susan and my books. Thank you, Tammy for supporting our tour and for speaking out against teen dating abuse and bullying. Tammy Brewer is a mother of three beautiful girls. She lives in New Market, Tennessee where she was born and raised. She loves to read and review book. She reads just about anything, but young adult is her passion. Her teenager and her often share books. 1 in 3 teens have been in an abusive relationship. Dating abuse might be one of the most common forms of violence among young adults, but it isn't common for people to talk about it. Now is our chance. Love is Respect/Break the Cycle has been nominated for the Chase Community Giving Award. There are 25 amazing charities nominated for the award and it's sad we have to pick just one, but I urge you to vote for Break the Cycle. It could mean $1 million to help raise awareness and end dating abuse. And most importantly, it could help start the conversation about dating abuse on millions of couches. Let's stand up and speak out against dating abuse. Break the Cycle (loveisrespect.org) believes everyone--no matter who they are, where they’re from or who they love--has the right to safe and healthy relationships. and watch the awards on Dec. 8, Saturday 8/7c on NBC! Through Chase Community Giving, Chase has donated over $28 million in grants to thousands of charities across all 50 states, Washington DC and Puerto Rico. The American Giving Awards showcases the important work of many of these charities. Head on over to C. Lee McKenzie's blog The Write Game where she is featuring the tour and our books. After spending some time there, make sure you continue on to Robyn Campbell's blog, Putting Pen to Paper. Robyn is interviewing Susan and me on bullying, dating abuse, and our books. Thank you, C. Lee McKenzie and Robyn Cambell for standing with us and Speaking out against bullying and dating abuse! Putting Pen to Paper, The Journey of Picture Book and Middle Grade Author, Robyn Campbell. The Write Game by C. Lee McKenzie is a writer who captures the pulse of adolescent confusion in her Young Adult fiction, Sliding on the Edge and The Princess of Las Pulgas. She just published her first Middle Grade fantasy titled Alligators Overhead. Continues at Julie Flander's site. The characters for Outcast and Break From You are sharing their playlists of songs that inspire them. Julie Flanders is a librarian by day and a writer all the rest of the time. Her debut novel Polar Night will be published by Ink Smith Publishing in 2013. When not writing fiction, she loves to write about animal-related issues and she write several columns about animal news for the Examiner.com. Thank you Julie for hosting us today! The Speak Out Against...tour is over at Moxie Writers today where we are talking about bullying LGBTQ youth and individuals. Get the facts, know what you can do, join the cause, and stand up, speak out against bullying. Regardless of your beliefs...no one deserves to be bullied...EVER! 1 in 4 kids are bullied. Bullying can lead to depression. Depression can lead to self-harm and suicide. It is said that 1 in 20 teens self-harm. Over 630,000 visits to the ER every year is due to self-injury. Give love to The Butterfly Project, a blog style, open forum that deals specifically with bullying, self-harm, and suicide and has given cutters and those that self-harm a way to change themselves and the world. THE RULES: 1. when you feel like you want to cut, take a marker or pen and draw a butterfly on wherever the self-harm occurs. 4. if you cut before the butterfly is gone, it dies. if you don't cut, it lives. The butterfly project on facebook. Supporting The Butterfly Project is a way to spread awareness and create change. Join me and draw a butterfly on your wrist for those who are bullied, who self-harm, who debate suicide. Stand up, speak out. The Speak Out Against...Book Tour continues over at Linda Jackson's blog Writers Do Laundry, Too. Join her as she shares with us her experiences with bullying. Thank you, Linda for hosting us today! Linda Jackson is the author of the middle grade novels The Lie That Binds and When Lambs Cry, the sequel to The Lie That Binds. In addition to her own books, she published What's The Matter, Mr. Giraffe? (2003) by Gloria Menifield, There Are No Blankets On The Moon (2004) by Angela Gill and Blynda Kellner, Keys (2004) by Jennifer Goodwin, and Field Trip Around the World (2009) by Chloe Jackson and Blynda Kellner. She is a frequent contributor to Chicken Soup for the Soul, with stories in Just for Teenagers, Here Comes the Bride, and The Power of Positive. 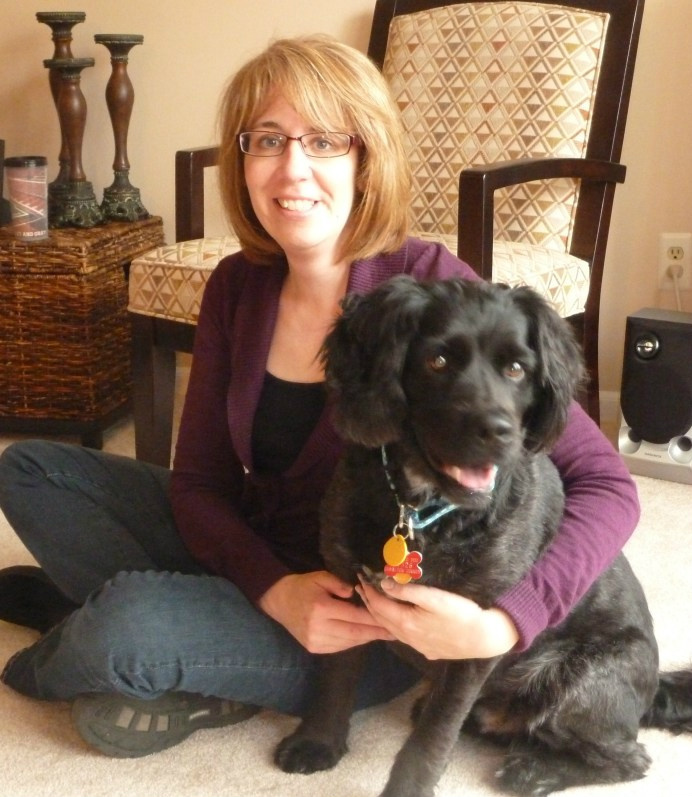 She has worked as an independent contractor, developing stories for reading assessment for educational publishers. Today the Speak Out Against...book tour is over at my good friend and writing buddy, Kendra Merritt's site. Susan and I are over there, talking about our writing process and how we came up with the ideas for our books, Outcast and Break From You. 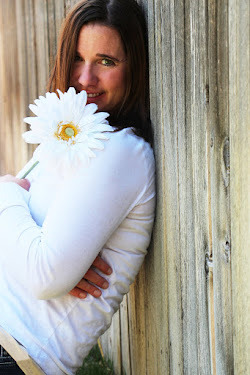 I would like to welcome my good friend and writing buddy, Kendra Merritt to my blog today. Hello Kendra, How are you? I read a lot as a child and started getting stories in my head. I was affected by all the books I read and wanted to see if I could write the same stories that I loved. What inspired you to write about characters with disabilities? I didn’t start writing about people with disabilities until I was twenty-one. That was when I had a second scoliosis surgery and a bad reaction to an epidural which resulted in partial paraplegia. While I was in rehab learning to walk again, I realized that all the heroic characters I read about could run and jump and swing a sword. I never saw any that looked and walked like I do now. And then it occurred to me: why didn’t I write some? Maybe if I wanted to read about fantasy heroes who live with disabilities, other people might too. I try to blend in humor with adventure and heavy emotional themes. You can be who ever you want to be. Pretty much anything by Tamora Pierce because they were the books I grew up with. They taught me what is meant to tell a story. Catching Cinders, a retelling of Cinderella. Cindy must decide to accept the way the world sees her or to prove she's someone worth fighting for. Working Title- The Robber Bridegroom, a retelling of the Robber Bridegroom about a 17 year-old cop with OCD who has to reconnect with her vigilante father. Just write. Stop thinking about writing and write. Thank you, Kendra for joining us today! Make sure you head on over to Kendra Merritt's site. The Speak Out Against...book tour is over at Theresa Milstein's blog today. Theresa is featuring our books, so head on over there and check out her blog. "I write children's books. Most of my manuscripts are YA, but I've written for middle grade as well. My manuscripts have a paranormal twist. I have several small pieces published in anthologies and journals. My short story "Daisy" is included in the 100 Stories for Queensland anthology and my story "Allured" is included in the YA vampire anthology, Fangtales. 100RPM published my flash fiction piece "Violet's Hill". My vignette "Left Behind" and poem "Catty-Corner" were in the April and July 2012 issues of Vine Leaves Literary Journal. I'll also have a short story "My Moment" in From Stage Door Shadows, released on September 29, 2012. I'm a member of SCBWI and active in the New England SCBWI branch." Wish You Were Where? 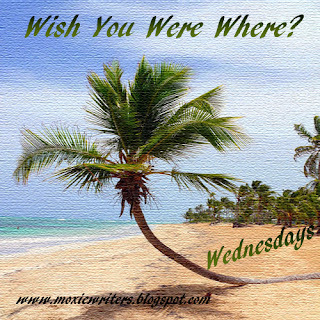 Wednesdays is a weekly meme over at Moxie Writers. In order to participate, answer the following questions, either in the comments section or on your blog and link back to Moxie Writers. 1. What is your most current read? 2. What is the setting? 3. Tell why you wish you were there...or not. 2. 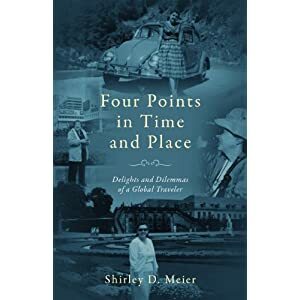 The book is memoir about her travels to Mexico, Germany, South Dakota, and China. 3. I think it would be great to see all those places, although I'm not a big traveler- I don't like it very much. Instead, I like to read stories about other people's travels, living vicariously through them instead. Today I am over at Susan Oloier's Blog. Susan is my "Moxie" writing partner over at Moxiewriters. She's the author of Outcast, a story that takes you deep into the world of bullying. A must read. Susan is an amazing writer and extremely inspirational. I am so glad to have met her and teamed up with her. Make sure you head on over to Susan's site and check out the interview. 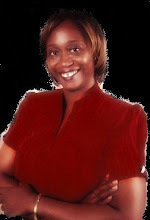 Speak Out Against...Book Tour Continues at Susan Oloier's blog. Stand with us and Speak Out Against...bullying and teen dating abuse. The Speak Out Against...book tour continues with Brooke (Break From You) and Noelle (Outcast) and ways to get involved with online campaigns. Brooke from Break From You says: "As a victim of dating abuse, I know how important it is to speak out against these devastating issues. Breaking away from an abusive relationship is hard and it’s important to know that there are people and organizations out there to help. I’m amazed at how common dating abuse it. I just found out that 1 in 3 teens are in an abusive relationship. I thought I was the only one. So I'm here to share with everyone some ways to Speak out and get involved with online campaigns." Noelle from Outcast says: "It's not always easy to stand up to bullies. Believe me, I know. But it's absolutely essential that you advocate for yourself anyway. Whether you're bullied at school, at home, or on the Internet, you can stand up for yourself by breaking the silence. Reach out to friends and family who understand. Or, connect with others through organizations or online chat groups. Don't make the same mistakes I made." It's important to Speak Out Against...dating abuse and bullying. You can do so by joining an online campaign. NO MORE is a groundbreaking symbol designed to galvanize change and radically increase the awareness of domestic violence and sexual assault in our communities. Let’s end the shame and stigma. Raises awareness of healthy dating behaviors to prevent dating abuse among 13-18 year olds. Connects parents and schools to the National Dating Abuse Helpline. Helps high schools meet the requirements of Texas House Bill 121. The “I Choose” campaign is a challenge and movement for change. It’s about recognizing bullying for what it is: a choice. What you say or do to someone has the power to affect that person’s life. The campaign challenges people to stop, think and remember that their choices matter.